They're a great company to work with. They're on time, professional, and they do quality work. I could get a hold of him easily even after the pool was done. He did a good job. He gave it more than 100%. I would recommend them highly. They were very responsive to any questions I had or clarifications I needed. They were really wonderful, and I'm very pleased with the work they did. The quality of their work was fabulous. They came up with a great solution to a complex problem and found a way to build a pond inside a pond for us. They were delightful to deal with as people, and they did an outstanding job. I highly recommend them. They're super good guys, very dependable, and they know their craft. He's just a great pool contractor. 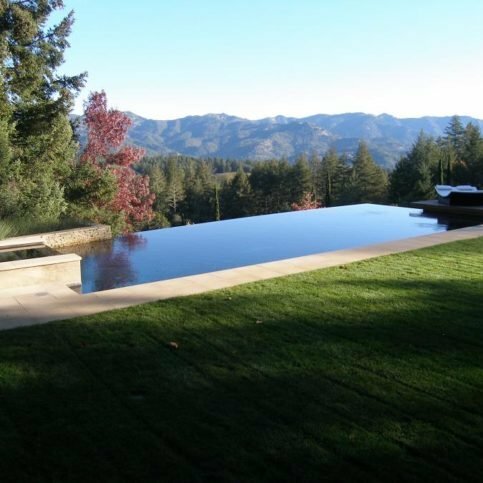 Classic Pools designs and builds custom, in-ground swimming pools and spas for residential and commercial clients throughout nine Bay Area counties. 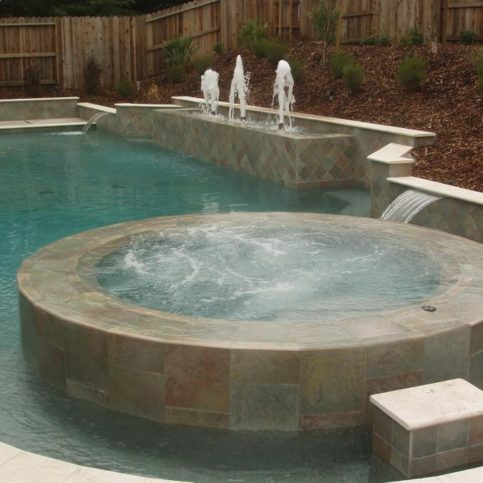 The family-owned and operated company also performs pool remodeling and renovation work, from pool resurfacing and reshaping to adding features like spas, waterfalls, covers and ponds. 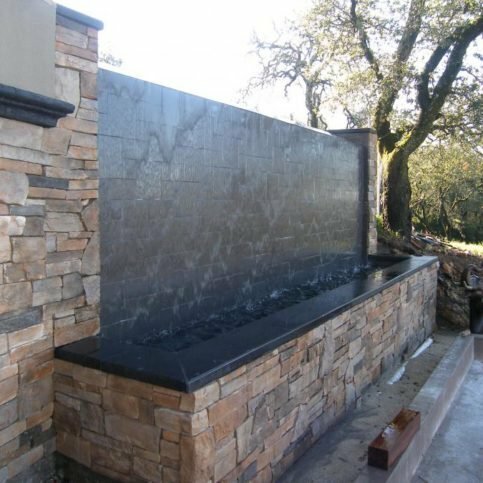 Additionally, the company has a special expertise in hillside or “tough site” projects, and it’s also able to build pools for commercial establishments like apartments and health clubs. 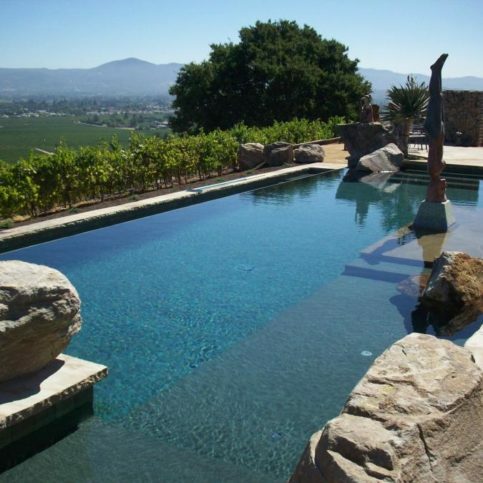 Classic Pools has been designing, building, and installing all types of swimming pools and spas for residential and commercial clients throughout the Bay Area since 1990. The company also performs pool remodeling and renovation work (pool reshaping and resurfacing; spa, waterfall, spillway and pond installations) and builds pools for commercial establishments like apartments and health clubs. Other advancements like infrared sanitizing systems have replaced expensive, inefficient and time-consuming chlorination, bromination, and salt systems. 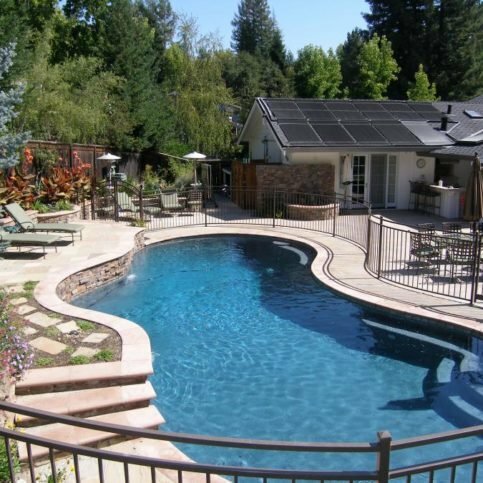 And regardless of the system, automatic filtration and computer-controlled systems allow homeowners to efficiently control their pools’ filtration and cleaning systems and tailor them to their unique needs. Q: How long will it take to install my new pool? A: Every pool project is different, so once we determine the specifics of your job, we’ll be able to give you a timeframe for how the work will go from beginning to end. Generally, it takes a couple of weeks to get the permit, and then we can move quickly from there. Our goal is to complete every job within 45 days of the permit being pulled. Q: What’s the first step to building a pool? A: The first step is to create a written plan (usually comprised of about 20 steps) so you can see what we’re doing at every phase and know what to expect. We’ll give you a copy of the plan so you can get comfortable with the process. Q: Are you honest with your pricing? A: Absolutely. We believe it’s better for our customers to know the whole cost upfront, so each of our bids and contracts is all-inclusive. Unless you want changes or additions, what you see on the original contract is what the final product will cost. A: Yes, we’ll pull all the necessary permits for your job. Permit costs vary depending on where you live, but we never charge more than what the city charges. Q: Will you communicate with me during my pool project? A: Yes, we communicate constantly with our clients. It’s easy for contractors to oversimplify jobs and not do a good job of explaining things because they know the processes so well, but we’ve found that our clients are happier if we take the time to explain what’s happening next and lay out our expectations for the rest of the job. 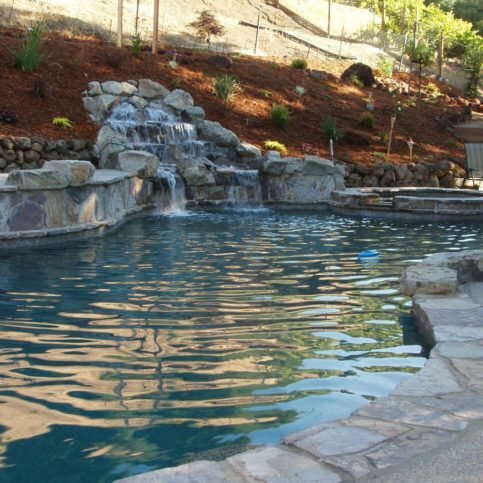 Q: How much will it cost to complete my pool project? A: It depends on the extent of the work, but we’ll address pricing right away so you know what to expect in terms of your budget. 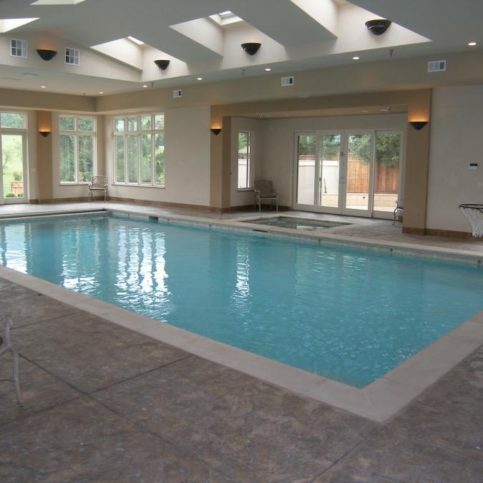 Quality pool construction isn’t cheap, so we’ve found it’s best to explain everything to our customers upfront and give them honest estimates so they can make informed decisions. 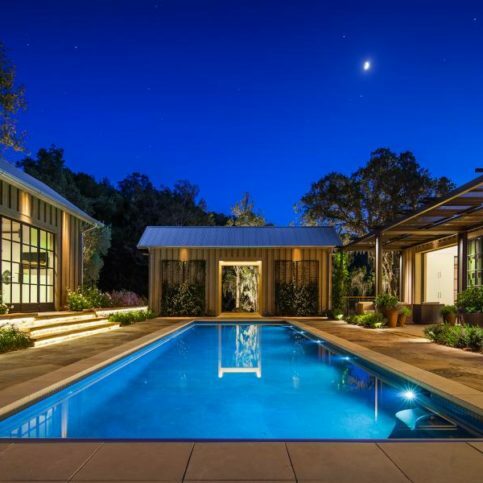 CONCORD — If you’ve decided to install a swimming pool on your property, you might be wondering what your first step should be. The answer is simple: find a qualified pool builder. 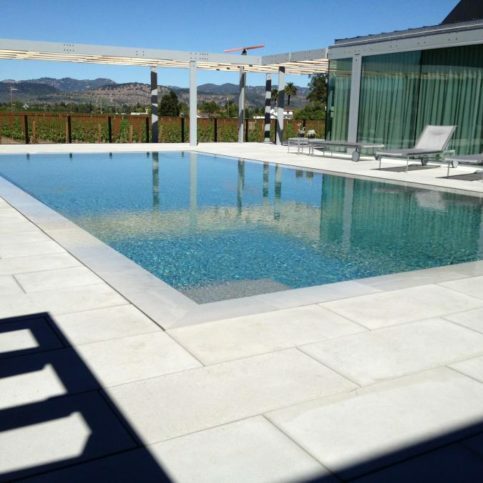 While building a pool involves a multitude of crucial details, at the end of the day, the guidance of an experienced professional is the most important factor in achieving a quality result. A qualified pool builder will oversee every aspect of your pool’s construction, including critical features like its structure and plumbing. 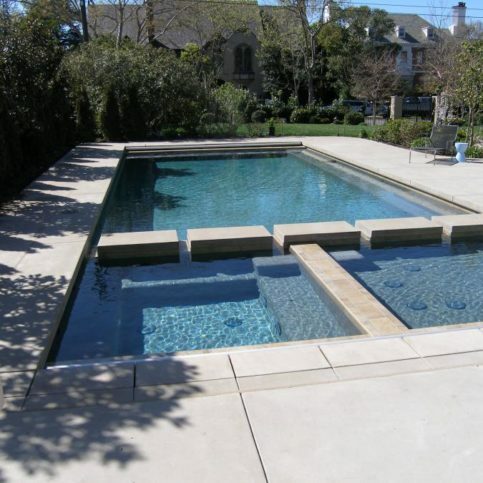 As the foundation of your pool, the structure must be carefully designed and engineered, and built to last. Likewise, as your pool’s “circulatory system,” the plumbing must be designed and constructed with the utmost precision. 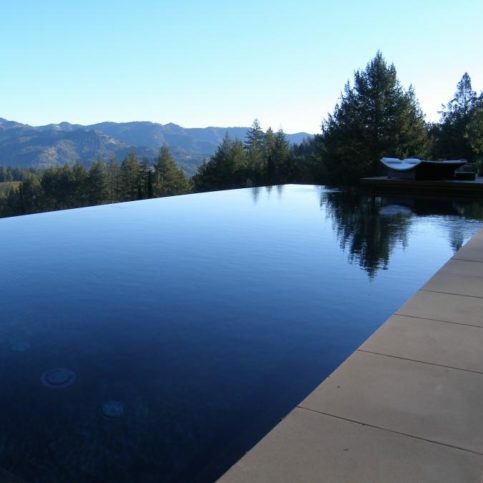 Besides ensuring general design and construction quality, a qualified pool builder will be able to address any unusual factors or concerns, such as challenging landscape or soil conditions. The builder will also be able to tell you exactly what needs to be done and how much it will cost, which will help you avoid mistakes or miscalculated estimates. Overall, by working with a seasoned professional, you can be sure to get an attractive, functional and durable swimming pool that you’ll enjoy for years. CONCORD – If you own a swimming pool, chances are you’re using chlorine to sanitize it. After all, as both an effective oxidizer and sanitizer, chlorine has long been the chemical of choice for pool sanitation. However, as a harsh chemical, chlorine can make a pool’s water uncomfortable for swimmers, causing issues such as itchy skin and irritated eyes. If chlorine is detracting from your enjoyment of your pool, it’s time you considered a practical alternative: salt water chlorination. While salt water chlorination is growing in popularity, many consumers remain confused by the fact that this “chlorine alternative” still relies on chlorine. That’s because the primary difference with salt water chlorination is not the absence of chlorine, but how chlorine is produced and applied to the pool. Salt chlorination produces chlorine by electrolysis, a process that takes place in a chlorine generator installed at the equipment pad. This generator breaks down the salt and releases chloride molecules into the water, which sanitize the pool before reverting back into salt, at which point the process starts all over again. Due to the way it produces and disperses chlorine, salt chlorination provides a much more comfortable swimming experience, making a pool’s water milder and doing away with common chlorine side effects. Also, since the chlorinator unit is constantly introducing chlorine into the water, it results in continuous, balanced levels, with no “spiking,” as often occurs from manual chlorine application. Thanks to innovations in pool equipment technology, salt water chlorination is now more practical and widely available than ever before. So, if you’re tired of the discomfort caused by conventional chlorine, ask your local pool service company about salt water chlorination. 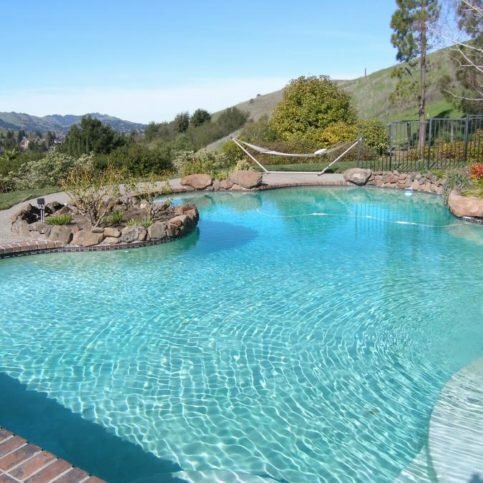 CONCORD — Host, Sarah Rutan: If you’re planning to install a swimming pool, your first move should be finding a qualified builder. Today we’re in Concord with Diamond Certified Expert Contributor Val Toland of Classic Pools to learn why. Diamond Certified Expert Contributor, Val Toland: Now, what do I do? In my 36 years of building pools, that’s the most common question I get. First, get yourself a qualified pool builder. Someone who is experienced, who has an interest in the company, but get somebody out there who knows what they’re doing to meet with you on-site. 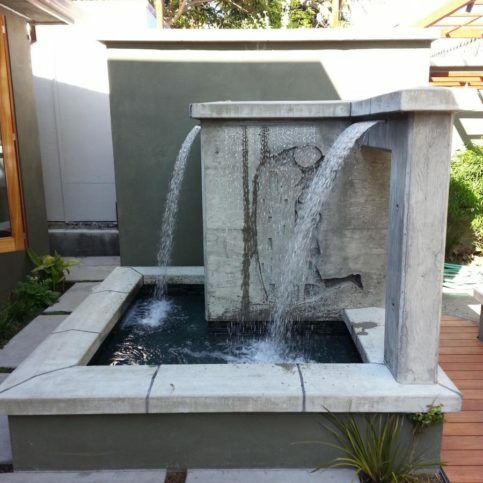 When you get the qualified builder out there, the first thing they’re going to look at is the structure of your pool. 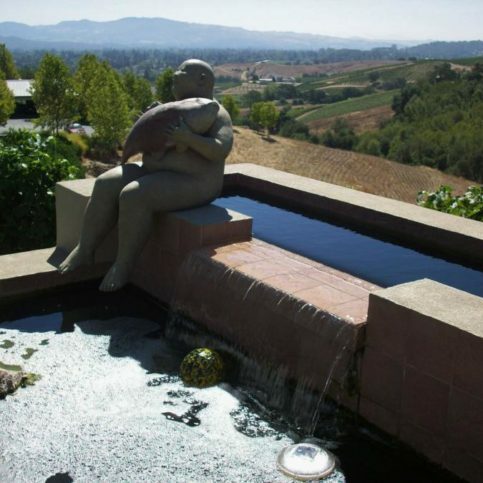 If your pool has major problems, he should be able to tell you how they can be fixed. The second thing that a builder wants to do when they come out is to look at your plumbing. Plumbing in a pool is absolutely critical. Plumbing is like your heart and the pumping system of your body. You will have long-term problems; there’s no getting around bad plumbing in a pool. To sum it up, when you have one of those “What do I do now?” questions, the important step is to get a good, qualified builder to come in and work with you. He can tell you what needs to be done, how much it costs, and the steps that are necessary. 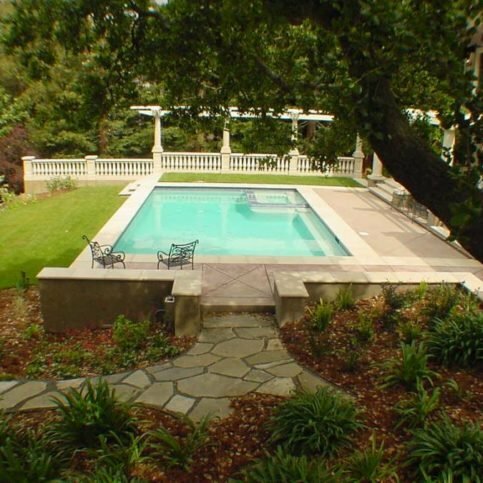 You will increase the attractiveness of your pool, the usefulness of your pool, and you’ll be much happier in the long run, even if it costs a little bit more. Thank you for letting me help you. And if you have one of those questions, give me a call. 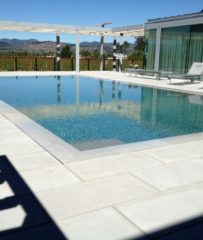 CONCORD – Host, Sarah Rutan: If chlorine is detracting from your enjoyment of your swimming pool, you’ll want to know about an effective sanitation alternative. To learn more, we’re in Concord with Shane Toland of Classic Pools, speaking on behalf of Diamond Certified Expert Contributor Val Toland. Shane Toland: Today I wanted to talk about some of the improvements they have in pool equipment and pool sanitation now versus what most people have dealt with over the last 30 years. 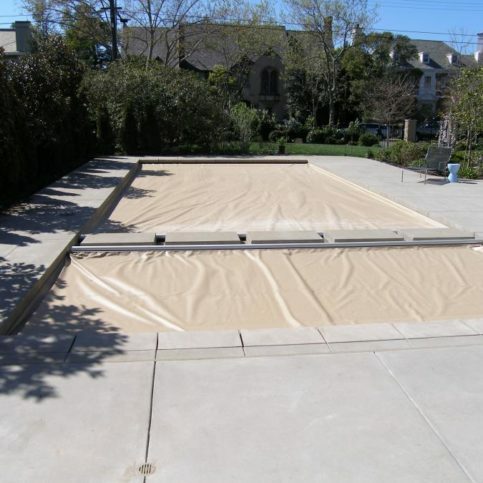 One of the most common and biggest improvements we’ve had in the pool industry recently in the United States is the widespread use of salt water pools. Basically, I can describe it as, is that you are taking salt, just your typical everyday table salt, and adding it to the pool water to bring that salinity level up. It’s not going to make it taste like the ocean. It’s not going to make it feel like the ocean. It’s just going to bring salinity up a little bit. And then there’s a unit that’s installed at the equipment pad that takes that salt and splits it into chlorine and one other chemical, and then in the pool itself, does combine back into salt. So, one of the things that is most misunderstood is that a salt water pool is actually a chlorine sanitizer. It is still using chlorine to keep your pool water healthy, and safe, and good to swim in, but it’s doing it by using salt in the water and a unit, your equipment pad. There’re a lot of benefits that come along with this. One of the great things is that it’s a lot easier for the pool owner to take care of their pool because this unit puts chlorine into your water all the time when the equipment’s running. So, you always have this nice low level of chlorine being added into your pool, which means you always have a fresh amount of chlorine being added in. If you leave on vacation, if you don’t swim, if you have a party, it doesn’t matter. 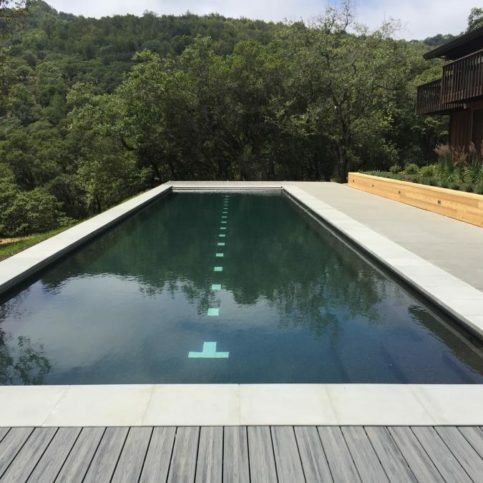 There’s always chlorine being added into your pool. It’s a much more fun experience when you don’t have to think about it. And the water feels so much better to swim in. That should hopefully answer all of your questions about salt water pools. Classic Pools : Average 9.1 out of 10 based on 20 unique customer surveys of customer satisfaction. We were very pleased with the quality of the workmanship. It was very good. They were on time, on task, and they completed the project on time. There were a couple of little issues after the job had been completed, but they came right back and took care of them. I would say the quality of the workmanship, we got more than what we asked for. They're very competent, and they're very responsive to my needs. They were great. They exceeded our expectations. I liked how responsive they were to our needs. Reliable and friendly service, they have good subcontractors too. Their advice was very helpful. I think they are incredibly client oriented. They did a vey tricky pool for us, and they went out of their way to make it happen. It was state of the art technology, and as little things came up, they were always incredibly responsive. They stand by their work. Also, they didn't sub any work out without being present every step of the way. Their customer service is beyond excellent. They go above and beyond, and the quality is a 10". My husband is the pickiest person in the world and they pleased him. They listen to the client. 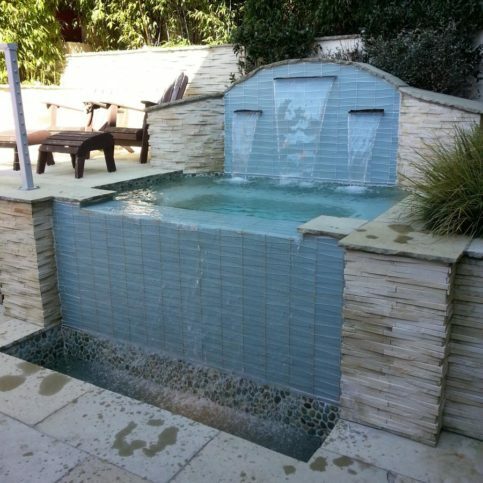 We had a pool and a hot tub, and we wanted to add a spa as part of the pool. We had nine different people come out, but nobody could figure out how to do it and make it look nice. They all wanted to make it look like a wart on the pool. Val came up with a beautiful design, and he executed it. 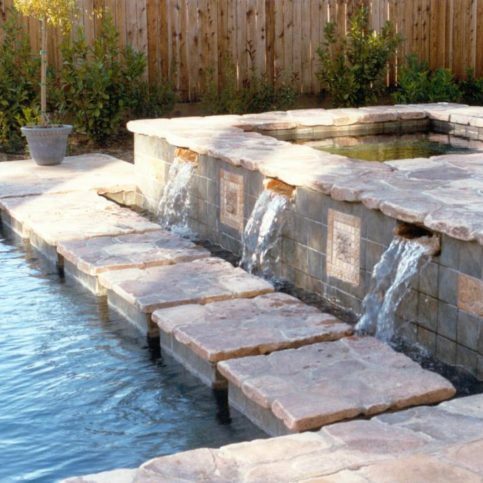 He added the spa by integrating it with the pool, and it's beautiful. It was seamless. Everyone thinks we have a new pool. He's experienced. He knows what he's doing, and he delivers a good product. I use Val because I can talk to him and because he works with our clients and architects. He doesn't do cookie-cutter pools. All of our pools are custom. Val's real good across the board. He does such a great job, and he's easy to work with. He also works with the client well. He's been in the trade a long time. He knows what he's doing, and he follows through. They're efficient, on time, and they get the job done. I don't know. They got the job done. He does excellent work. He's very easy to deal with and very ethical. He was very ethical. I selected a tile sample while he was on vacation, but it was substantially different because the die lot was different. I decided to go ahead with the tile. When Val returned, he told me if I didn't like it, he would have them take it out and replace it. I decided to keep it because I liked it, but he was ready to replace it if I wasn't happy. I have recommended them to friends. 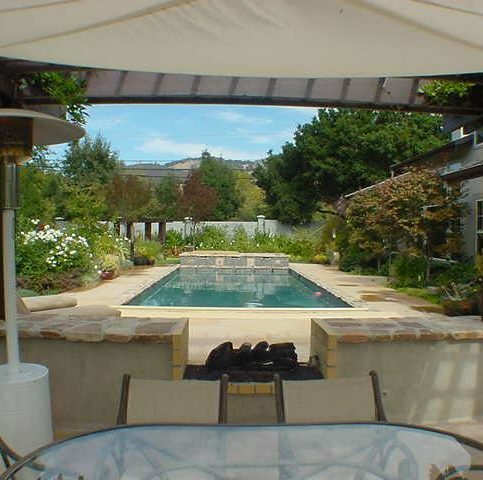 They have a lot of experience with pool design, and they're willing to provide good advice. I'm a general contractor. Val is very involved in the project. He oversees everything. He's a quality guy. I enjoyed working with him. Val was personally on the job to supervise the work. It was an extremely easy process to work with them. Actually, I thought their follow-up was very good, and it was a very straightforward process. They are good and nice people. They responded quickly when we called them. They're very professional, the quality is there, and they were helpful if I had any questions. They were very good. The service was fine, and I thought they built a beautiful pool for us. They know pools, and they did a beautiful job.